The device Vector 800 is the Quattrolifts latest vacuum glass lifter. It is designed to enable employees to unload, transport and installation of large glass panels weighing up to 800kg. It has a dual-circuit vacuum system designed for high performance. Safe maneuvering of large windows and glass sheets is provided by a vacuum sensor. 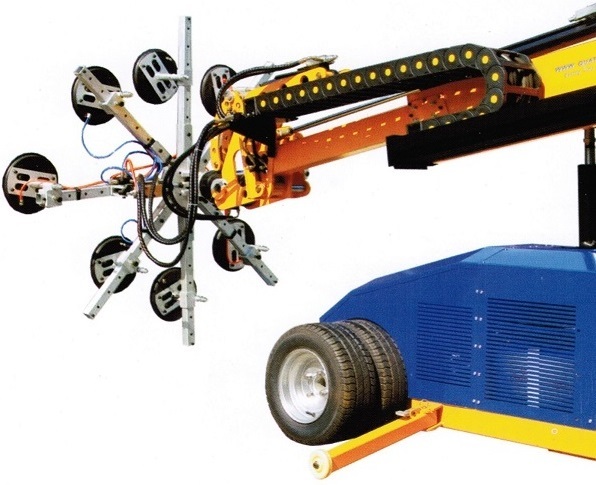 Using the self-propelled mechanism and a system of hydraulic cylinders the robot can easily move and rotate heavy loads. Vector 800 is able to maneuver large panes of glass at different angles and ensure the safety of staff in the workshop, warehouse, factory floor and in the field.